Covenant Care has been a long-standing, assisted-living facility in the community. 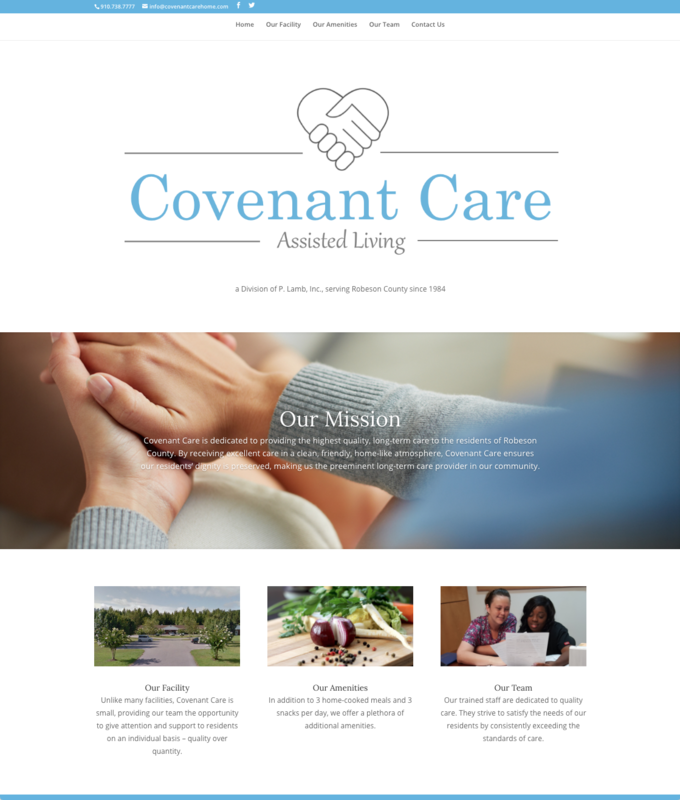 In business since 1984, Covenant Care sought help rebranding their business and establishing, for the first time, an online presence. I designed their new logo and website to capture the heart of what their business represents to its residents and to the community. Collateral materials (business cards, brochures, etc.) are in the works. Click the image to see a live version of the site and to explore site functionality. 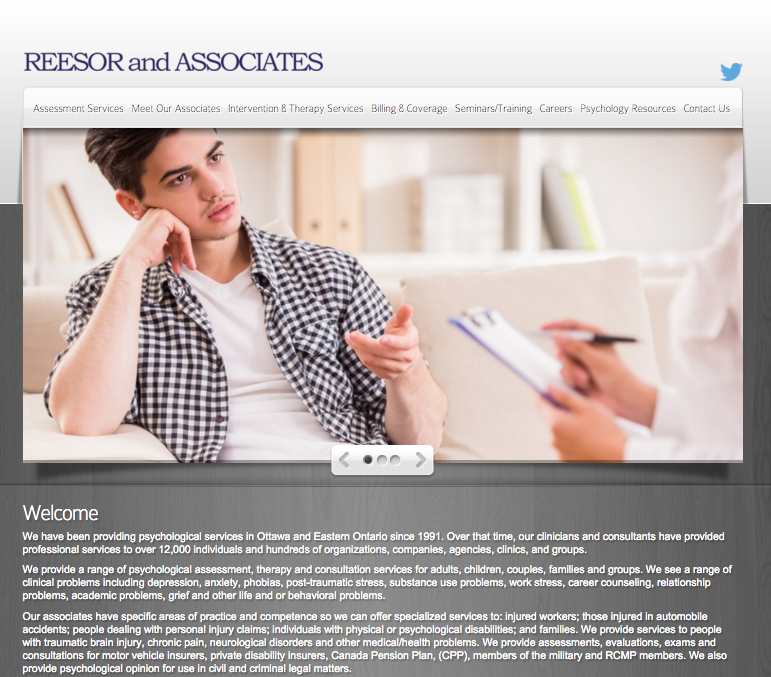 Reesor & Associates sought a new, fresh and professional redesign of their website. 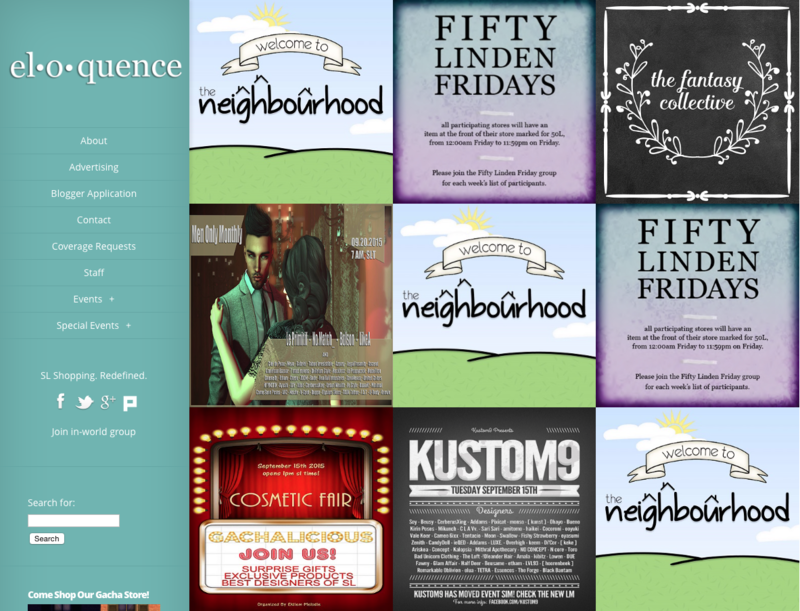 With minimal guidance, their old site was replicated and improved. The new website is also responsive, increasing its ability to be favorable ranked by search engines. The Reesor & Associates website now reflects the high-quality of professionalism they extend to their clients while providing valuable information. 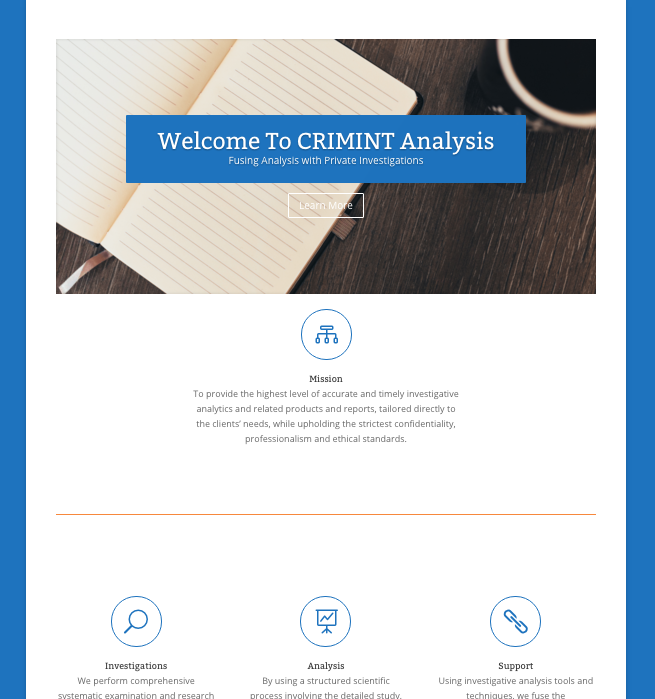 CRIMINT Analysis sought a professional, clean and informative website to represent its criminal intelligence analysis and private investigations business. Beginning with only the idea and a desired color, a concept was conceived, designed and implemented. Supplemental marketing materials will be produced to reflect the branding begun with this project. 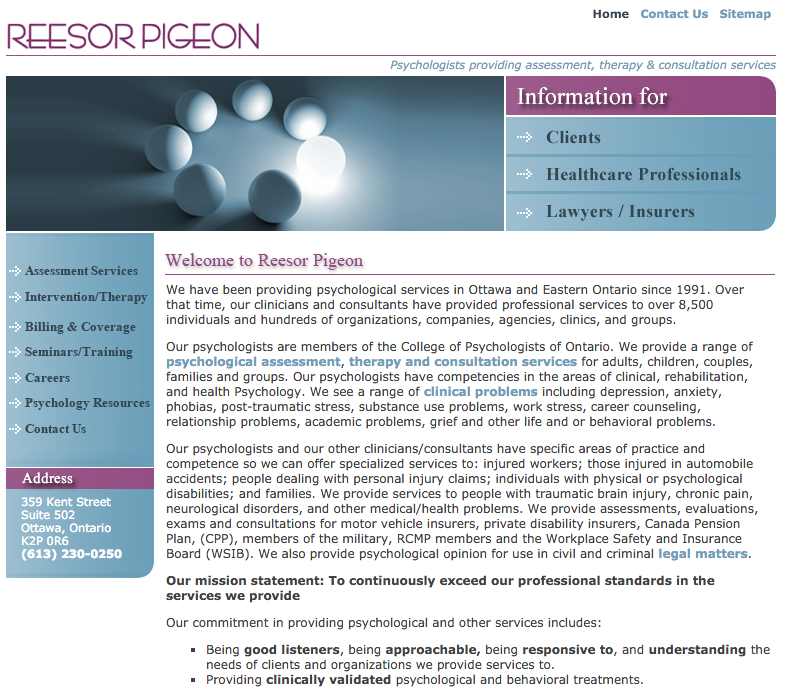 Click the image to see a live version of the site and to explore site functionality. 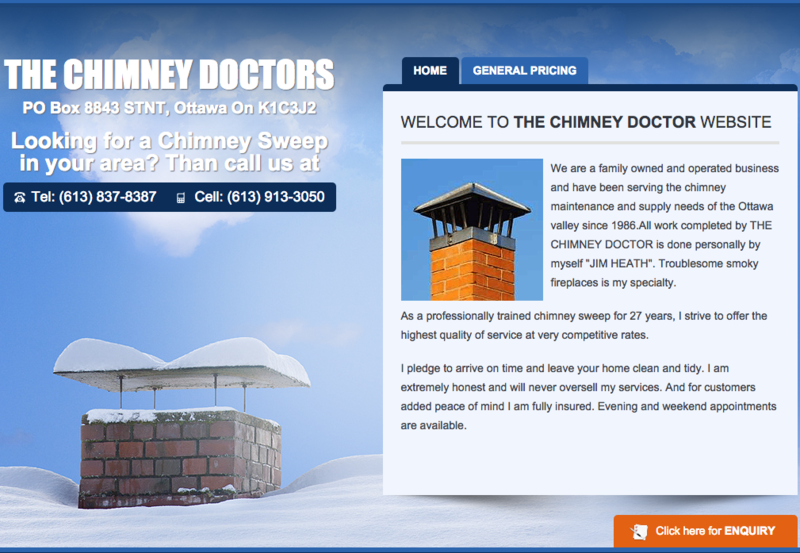 The Chimney Doctor was looking to have his 2-page website redesigned and moved to WordPress. 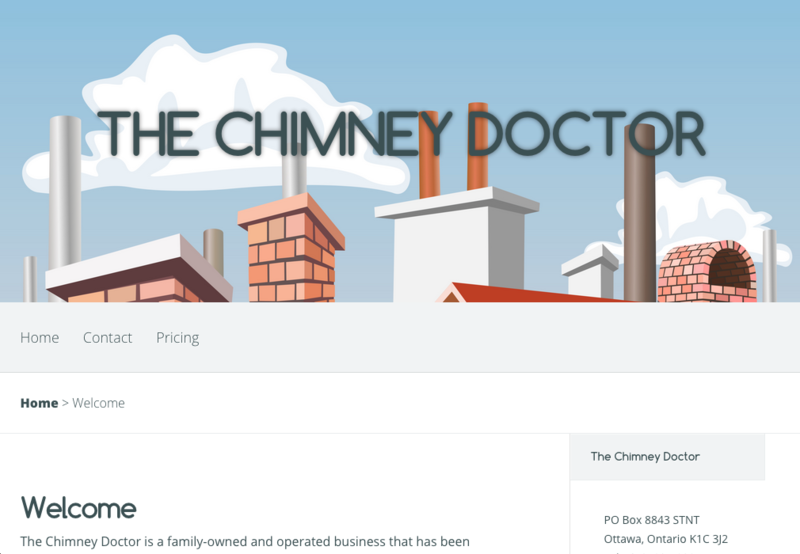 The copy was edited and refined to correct typos (notice the plural “The Chimney Doctors” title) and rampant title case; new, premium-stock graphics were implemented; and the site now exists on a platform with the potential for growth. Click the bottom image to see the old site (currently still live) and the top image to see the redesigned site. EloquenceSL.com represents an improved and refined version of SeraphimSL.com (see below). The mosaic tiles allow readers to access information quickly, easily and at a glance. Post content automatically pushes to a multitude of social media platforms. SeraphimSL.com, created in June 2011, is a sales and events blog I owned and managed for 2 and a half years. Upon selling the site in October 2013, the blog had achieved 1,000+ new unique visitors on average each day; maintained over 4,500 in-game subscribers; sold 50+ recurring advertisements monthly; created a novel form of advertising utilizing sticky posts; and had long outranked all of the competing blogs in its niche. Click the Seraphim logo to see an archived example, then click the example to enlarge. If Your Heart Had a Voice, What Would It Say? 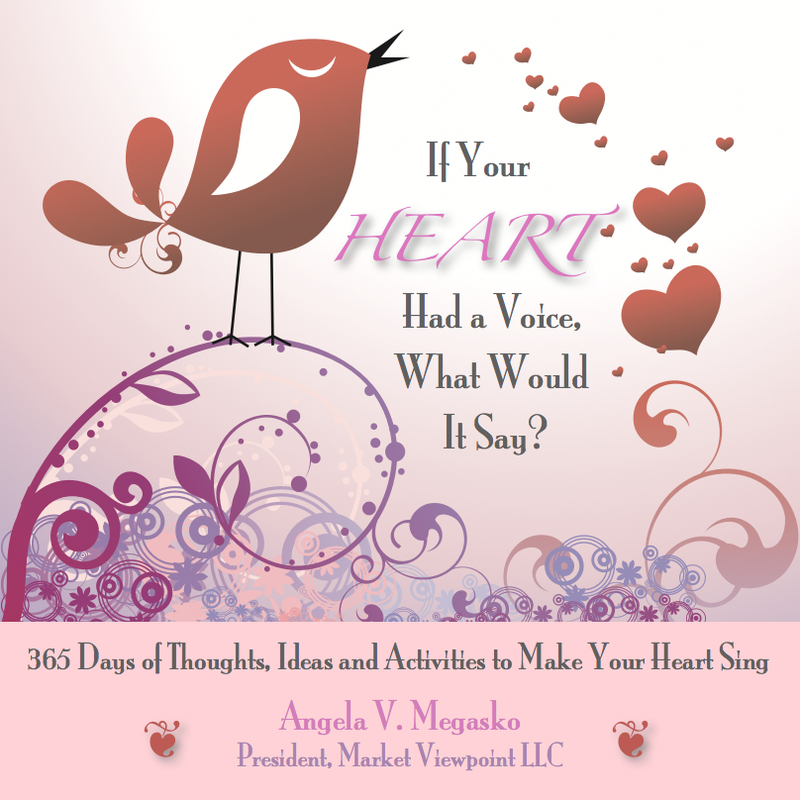 is a motivational book containing 365 daily inspirations, written by Angela Megasko. From being handed a Word document, I designed the entirety of the book including the cover image, internal graphics and layout. I edited and proofread all copy for optimal readability and presentability, and prepared it for publication. 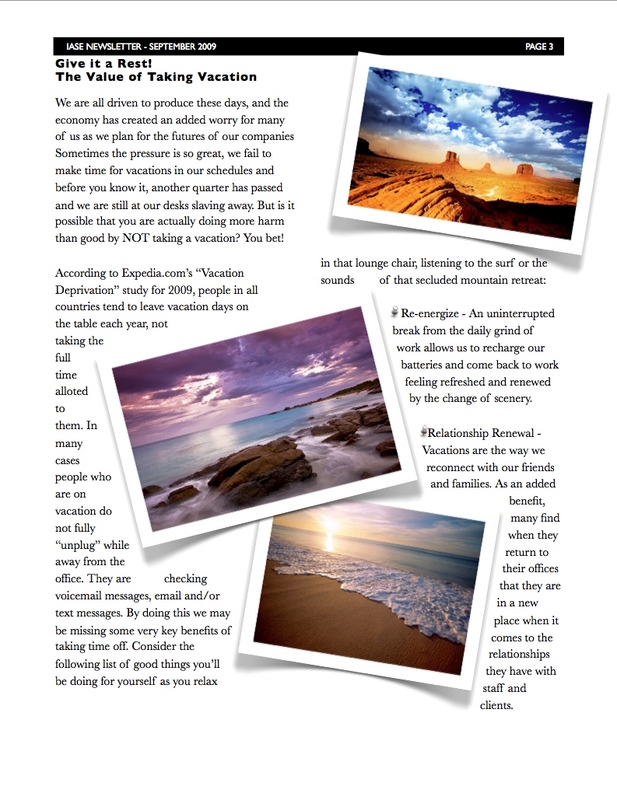 I also created many supporting materials for the accompanying seminar series of the same title, including workbooks, flyers, bookmarks, sign-up sheets, graphics, and a Powerpoint presentation. 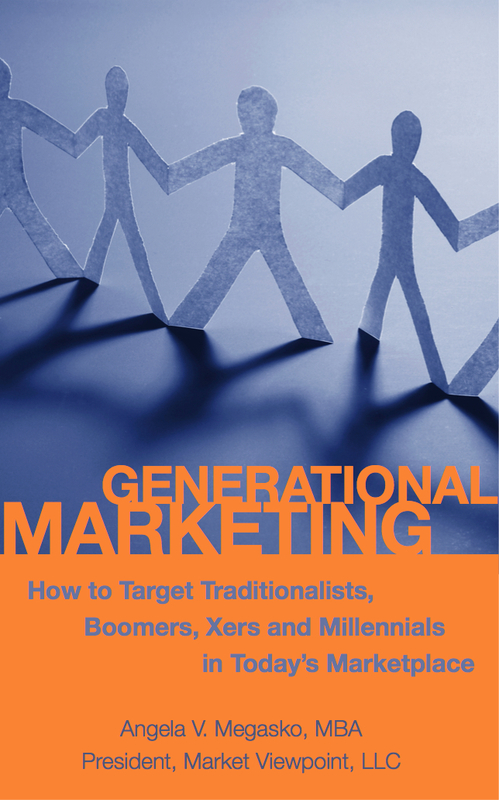 Generational Marketing is another book written by Angela Megasko that I designed (exterior and interior), edited, proofread and prepared for publication. A seminar was also built around the subject matter of this book, for which I created all supporting materials: presentations, handouts, workbooks, flyers and more. I was contracted to redesign a newsletter for an international organization of mystery shopping providers, replacing clipart and haphazard formatting with stunning images and creative content design. 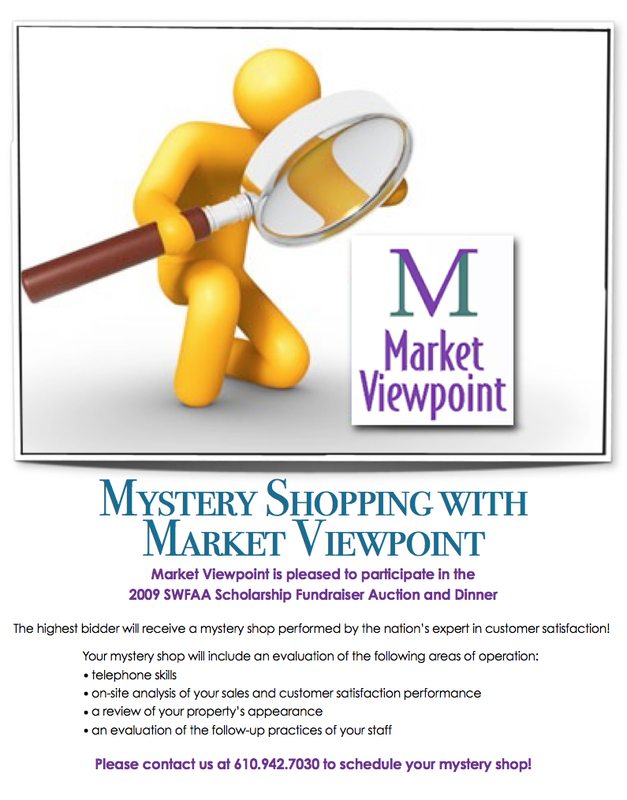 I designed a flyer showcasing Market Viewpoint’s mystery shopping services available during a silent auction. This logo was created for Mili Construction using common construction elements in the design. Now you've seen some of what I've done for them.